If there’s been one investment that’s proven to be reliable over time, it’s gold. It’s the most popular precious metal investment by far, and an excellent way for people to lessen the risk in their portfolio. If you’re looking to invest in gold, you have two main options: owning physical pieces of the metal or owning something called a gold ETF, or exchange-traded fund. Owning physical gold requires going through a precious metals dealer and securely storing the gold yourself or paying someone to do it. Precious Metals IRAs are another avenue investors use to buy gold without security concerns. A gold ETF is a type of mutual fund that’s traded on the stock exchange like any other mutual fund. Some ETFs invest directly in gold, while others follow a gold index or a group of companies involved in gold acquisition or mining operations. Make sure you read the description or prospectus of a gold ETF, so you invest in the type you prefer. The ETFs that directly invest in gold are easier to use compared to buying gold yourself. 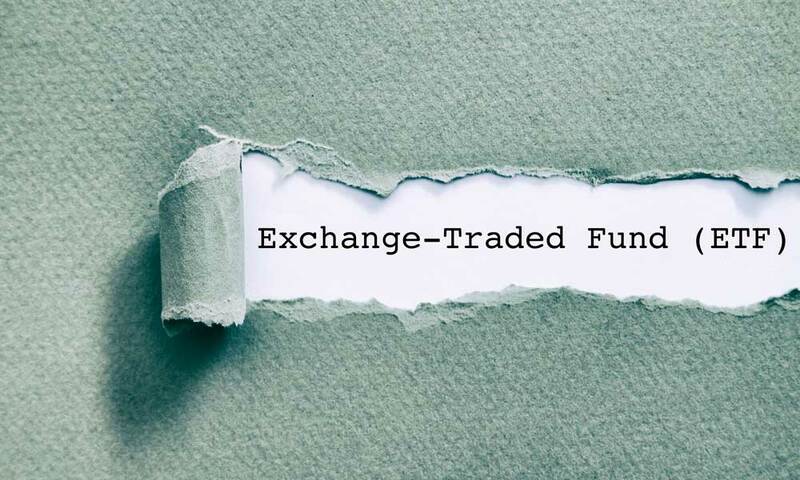 When you buy shares in the ETF, gold of that value is purchased through the fund and stored with the fund’s custodian. In short, it’s a way to invest in gold without actually owning any. So which one is better? Both have a similar return considering an equal investment, but there are different advantages to each. Here’s a look at gold vs. ETFs and how to decide between the two. It’s a solid investment and serves as a great hedge against inflation. With strong appreciation through the years, it has proven reliably positive returns even during economic downtimes. 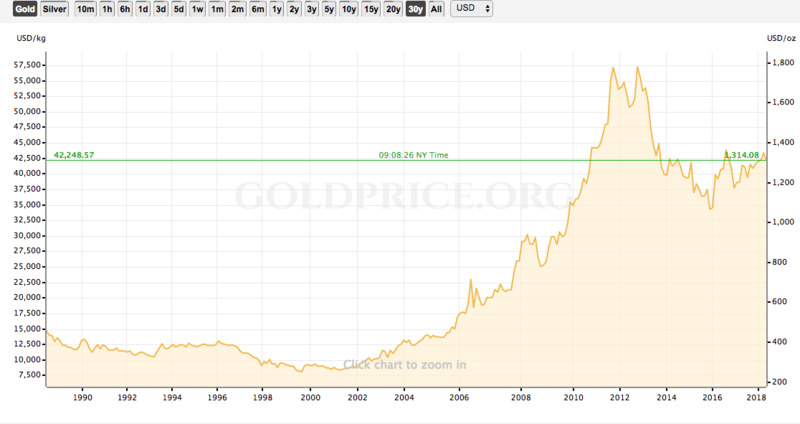 Gold prices fluctuate but won’t go away, it won’t be devalued, and it will always be valuable anywhere in the world. When you invest in physical gold, you’re entirely in charge of your investment, meaning you’re not trusting it to someone else like an ETF. You decide how to store and secure it. When you sell a gold ETF, that data is required by law to be immediately transmitted to the government by the brokerage. Sell gold bullion or bars, and you must report capital gains on your income tax return. Gold coins, bullion and other forms of the precious metal stored in your home opens you up to losing your investment through theft. Storing your gold properly with a secure depository company doesn’t come cheap. Add in the fact that you’re probably going to want to insure your gold, and you’re paying more money to protect your investment compared to investing in an ETF. You’ll possibly run into premium prices if you invest in collectible gold like coins, and you will need to insure that you are getting the purity level you are paying for. When you decide to sell your gold, you will have to pay a dealer’s fee as a percentage of your purchase. A gold ETF is a great way to invest in the concept of gold without actually owning it. You invest and profit off of price increases as you would if you bought and sold the precious metal, but there’s no storage and no insurance costs. You can cash out or purchase more shares at any time. Physical gold is usually very easy to buy and sell, but with an ETF you complete a transaction online with a click of a button. You don’t have to deal with the hassle of bringing your gold to a dealer to sell it. It’s easy to include a gold ETF as a part of an IRA, but since the IRS classifies gold as a collectible, only forms and types of gold are suitable for a self-directed IRA, like American Eagle and U.S. state minted coins. With a gold ETF, you will never have any actual gold in your possession. You do, in fact, own physical gold through the type of gold ETF that purchases it directly, but you can’t go knocking on someone’s door to claim it. A gold ETF carries some inherent risk in that you’re trusting the fund management to properly invest your funds, to not run afoul of any laws, and to be properly insured. Of course, you run that risk with any mutual fund, but it’s important to be aware of the possibility. Gold ETFs also usually carry a small management expense, so you’ll be paying someone a small fee to take care of your gold. Trying to decide between actual gold and a gold ETF? Consider your end-goal and not only the potential earnings. If you want gold coins or bars to pass down to your children or give on special occasions like birthdays or a wedding, physical gold fits that need. Some people are more comfortable with the idea of owning gold coins or bars that they can access at any time. Gold is one of the oldest forms of money, so many who have fears of the financial system collapsing in the future feel that gold is safe as perhaps the most time-honored means of wealth. If you like the idea of investing in gold but don’t want the hassle involved with buying it and storing it yourself, and you trust professionals to manage your gold, a gold ETF is the best fit. Convenience is perhaps the most significant advantage of a gold ETF. While owning gold and owning a gold ETF are somewhat similar, there are different reasons for investing in either, and many people invest in both. Take the time to weigh the benefits of each type of gold investment for your specific needs. Whether you choose to buy gold or a gold ETF, know that you’re making a sound choice either way. The right way to own gold depends on the type of ownership you are comfortable with, and the investment will be a sound part of your financial future. How Much Money Do I Need to Retire? What Is A Gold IRA Rollover? Are Precious Metal Rollovers Safe?